Would you pull out your own teeth? Last week we talked about the BBC ‘Fake Britain’ TV programme that spotlighted the scams and risks of illegal teeth whitening treatments. This week we have again turned to the BBC, this time to a news item that featured a Dewsbury, Yorkshire couple, who unable to find a local NHS dentist to treat them resorted to DIY tooth extraction. Ouch! The BBC News analysis of 2500 dental practices on the NHS Choices website found that half were not accepting new adult patients, while two-fifths were not accepting new child patients. Mrs. Rebecca Brearey who was featured in the news article said that she had been trying for four years but no dentist would take her on. She also said that she had been told that there was a two-year waiting list. Hence, in desperation and as a last resort she decided to carry out her own tooth extraction. The British Dental Association said that these figures reflected an ‘emerging crisis’ in dental care in England. At Carisbrook we have been aware of this ‘crisis’ for some time and over recent months we have welcomed an increasing number of new patents who have been unable to find an NHS dentist. Although we are a private practice most of our new patents are very pleasantly surprised at how our competitive fees actually compare to what appear to be constantly rising NHS charges. The other much-appreciated facility we offer is our Payment Plan that helps patients spread the cost of treatment. Our Payment Plan fees start from just £11.50 per month (or just 37 pence per day) and it provides excellent cover. We also have a Payment Plan for children, ask reception for details and fees. Two dental health examinations per year, including oral cancer health checks. Two hygienist appointments per year including preventive advice. 20% discount on routine treatments (excluding specialist and cosmetic treatments). Dental injury covers up to £10,000 per year. Up to £12,000 cover for one course of oral cancer treatment (including smokers). Temporary emergency dental treatment abroad and in the UK up to £400 per incident and up to £800 per year. 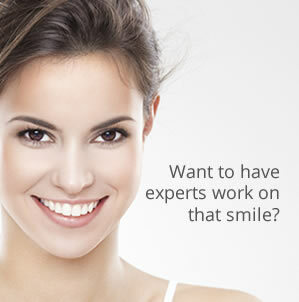 Other fee benefits we provide include a 0% Finance Offer and for all new patients, we also offer a FREE CONSULTATION. In addition, we also provide a number of regular SPECIAL OFFERS all designed to save you money. So if you find yourself struggling to find a local NHS dentist, right now is an excellent time to contact Carisbrook Dental where we are currently taking on new patients. There is no need to struggle in your search for an NHS dentist, no need to suffer dental problems and most importantly – no need to undertake your own tooth extraction! If you would like to discuss our fee structure, our Payment Plan or to arrange a Free Consultation please call us on 0161 951 7295 or alternatively you can contact us by using the online form on our Appointments page.